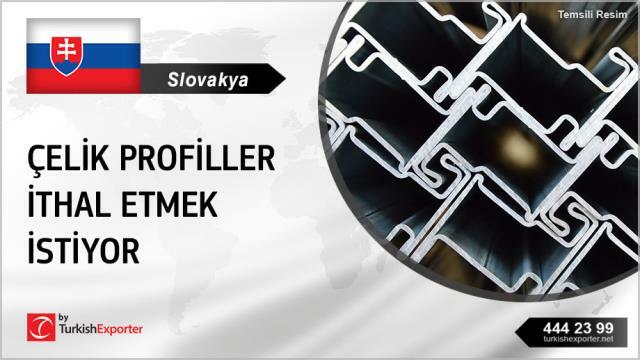 Slovakya’da hafif çelik konstrüksiyon yapılar, evler, villalar imal etmekte olan bir firma, imalatlarında kullanmak üzere çelik profiller ithal etmek istediğini belirterek fiyat teklifi talep etmektedir. We are group of companies from European Union from country Slovakia. We are producer of light steel construction and we are also building company and build houses, villas and halls / warehouses. I contact you beuase now we looking for supplier of M-profile and I found your company on the web. We are interrest in long-term cooperation. Not only single purchase. We already have one of supplier from Turkey and we are very satisfied. Could you send me more detials and price for M-profile? Could you send me also catalogue with products and price list pls? Thank you for quickly reply.